A molecule released as part of an inflammatory response after muscle injury or rigorous exercise activates muscle stem cells responsible for repairing the damage, according to a study by researchers at the Stanford University School of Medicine. Treating laboratory mice with a dose of the molecule, a lipid metabolite called prostaglandin E2, just after injury accelerates the animals' ability to repair the damage and regain muscle strength, the researchers reported. However, a nonsteroidal, anti-inflammatory drug like aspirin or ibuprofen—drugs frequently taken to reduce the muscle soreness after injury or exercise—blocked production of the metabolite and dramatically inhibited muscle repair in the mice, leading to diminished strength. "Traditionally, inflammation has been considered a natural, but sometimes harmful, response to injury," said Helen Blau, PhD, professor of microbiology and immunology and director of Stanford's Baxter Laboratory for Stem Cell Biology. "But we wondered whether there might be a component in the pro-inflammatory signaling cascade that also stimulated muscle repair. We found that a single exposure to prostaglandin E2 has a profound effect on the proliferation of muscle stem cells in living animals. We postulated that we could enhance muscle regeneration by simply augmenting this natural physiological process in existing stem cells already located along the muscle fiber." A paper describing the research will be published online June 12 in the Proceedings of the National Academy of Sciences. Blau, who holds the Donald E. and Delia B. Baxter Professorship, is the senior author. Senior scientist Andrew Ho and postdoctoral scholar Adelaida Palla share lead authorship of the study. Muscle stem cells usually nestle quietly along the muscle fibers. They spring into action when a muscle is damaged by trauma or overuse, dividing rapidly to generate enough muscle cells to repair the injury. But it's not entirely clear what signals present in inflammation activate the stem cells. Prostaglandin E2, or PGE2, is a metabolite produced by immune cells that infiltrate the muscle fiber as well by the muscle tissue itself in response to injury. Anti-inflammatory treatments have been shown to adversely affect muscle recovery, but because they affect many different pathways, it's been tough to identify who the real players are in muscle regeneration. Ho and Palla discovered a role for PGE2 in muscle repair by noting that its receptor was expressed at higher levels on stem cells shortly after injury. They found that muscle stem cells that had undergone injury displayed an increase in the expression of a gene encoding for a receptor called EP4, which binds to PGE2. Furthermore, they showed that the levels of PGE2 in the muscle tissue increased dramatically within a three-day period after injury, indicating it is a transient, naturally occurring immune modulator. "This transient pulse of PGE2 is a natural response to injury," said Blau. "When we tested the effect of a one-day exposure to PGE2 on muscle stem cells growing in culture, we saw a profound effect on the proliferation of the cells. One week after a single one-day exposure, the number of cells had increased sixfold compared with controls." After seeing what happened in laboratory-grown cells, Ho and Palla tested the effect of a single injection of PGE2 into the legs of the mice after injury. "When we gave mice a single shot of PGE2 directly to the muscle, it robustly affected muscle regeneration and even increased strength," said Palla. "Conversely, if we inhibited the ability of the muscle stem cells to respond to naturally produced PGE2 by blocking the expression of EP4 or by giving them a single dose of a nonsteroidal anti-inflammatory drug to suppress PGE2 production, the acquisition of strength was impeded." "We are excited about this finding because it is counterintuitive," said Ho. "One pulse of this inflammation-associated metabolite lingers long enough to significantly affect muscle stem cell function in these animals. This could be a natural way to clinically boost muscle regeneration." The researchers next plan to test the effect of PGE2 on human muscle stem cells in the laboratory, and to study whether and how aging affects the stem cells' response. Because PGE2 is also produced by the fetus and placenta during pregnancy, and is approved by the Food and Drug Administration for use in the induction of labor, a path to the clinic could be relatively speedy, they said. "Our goal has always been to find regulators of human muscle stem cells that can be useful in regenerative medicine," said Blau. "It might be possible to repurpose this already FDA-approved drug for use in muscle. 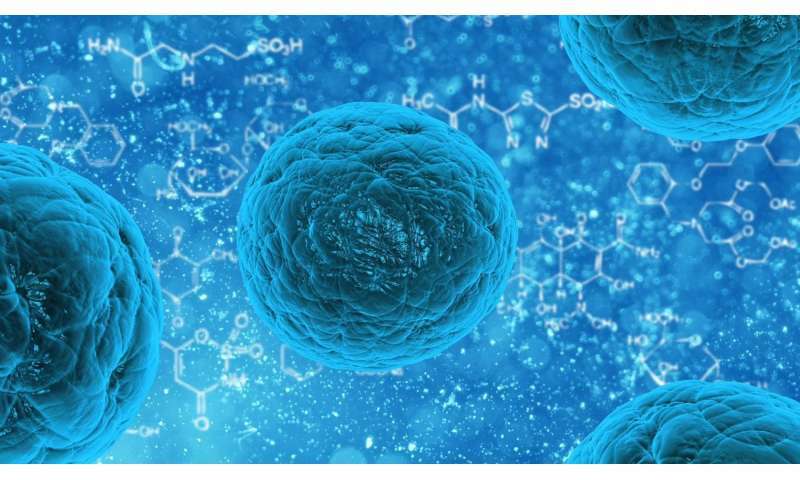 This could be a novel way to target existing stem cells in their native environment to help people with muscle injury or trauma, or even to combat natural aging."